When you're in need of a Medical Malpractice Attorney in Fort Lauderdale, call the Law Offices of Robert E. Gluck, P.A. He can provide you with the legal representation and professional guidance you need when you're the victim of a medical malpractice. He has been helping clients just like you since becoming a lawyer in 1989 and is ready to help you too. 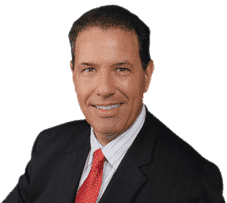 It's important to call Robert Gluck and hire him as your Medical Malpractice Attorney in Fort Lauderdale as soon as you're injured due to a medical malpractice. He will need to first prove negligence existed and that's what caused your injuries. If he can prove negligence existed, he will be able to move forward with your case. Your Medical Malpractice Attorney in Fort Lauderdale will open a complete investigation and gather all of the evidence necessary to build a strong case for you. Robert Gluck from the Law Offices of Robert E. Gluck, P.A. will find any witnesses to get their statements, take photographs of the accident scene, obtain available video surveillance, and locate any other necessary evidence. When you hire Robert Gluck as your Medical Malpractice Attorney, he will make you his top priority and go above and beyond for you. He will be there for you every step of the way from beginning to end. This can be a devastating time for anyone and he will provide you with any emotional support you need to get through this.